​﻿A compelling, moving, life-or-death story about the survival of American democracy and Christian morality. 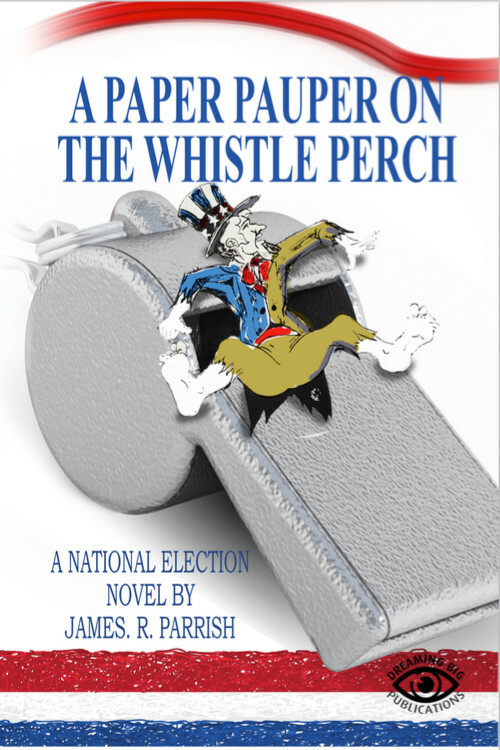 A Paper Pauper on the Whistle Perch is a heart-rending sensitive, moving story of fear and danger, pain and struggle, futility and immorality in American democracy, which, like all other democracies throughout history, is destroying itself. Franklin Jefferson Adams represents the rank and file American - a non-politician who wants all Americans to be able to pursue "the American dream" and to be able to vote in a system in which he is no longer forced to vote for "the lesser of two evils." Adams is the average American caught in a deteriorating government and society. In his fantasies, which are complete vignettes, he suffers the agonies of almost all social and religious problems in American today. James R. Parrish had 37 years as a public newspaperman, teacher, and public relations official. He taught English and journalism for 22 years on the university level. He taught at Wallace Pack II prison, Windham School System, and Texas Department of Corrections. His B.S. degree is in English-journalism and government-economics. His M.A. is in English, and his work for the Ph.D. was in communications with a minor in political science. He attended the following universities: Texas, Stephen F. Austin, Oklahoma, Missouri Southern Illinois, and Southern Mississippi.